World Autism Awareness Week is an internationally recognised event happening this week. From 1 - 7 April 2019 people from across the UK are encouraged to take part in activities to raise money and awareness for the National Autistic Society. Contrary to popular belief, autism is not a mental health condition; it is a lifelong, developmental disability that affects how a person relates to, and communicates with, other people. There is no known cure yet, but proper support can make a world of difference to the affected person and their families. 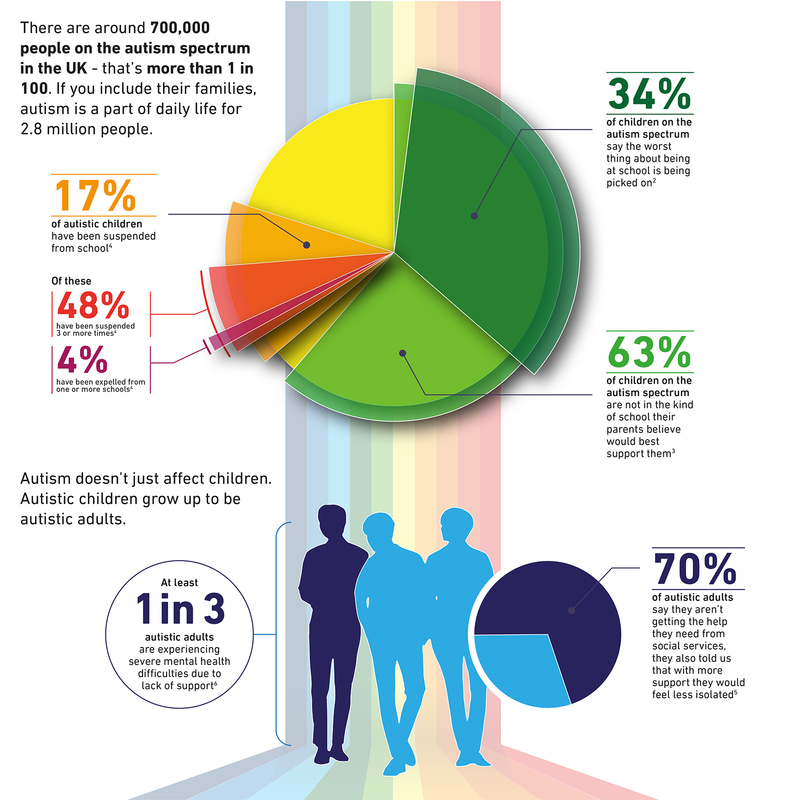 As you will see from the Page & Page infographic below: 700,000 people in the UK are on the autism spectrum and over 33% of autistic adults experience mental health difficulties due to a lack of support1. If you would like to make a difference and help raise awareness for autism, or for further information, please click on the link: World Autism Awareness Week. 1-6 National Autistic Society (2019) autism.org.uk [online]. Available at https://www.autism.org.uk/ (Accessed 1 April 2019).